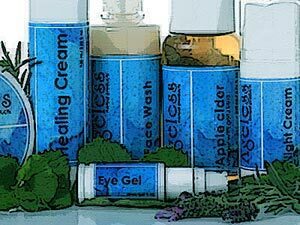 Clinical references of Ageless – the herbal anti-aging site with great herbal products. In compiling the herbal encyclopedia, as well as putting together information for the product pages, as well as other pages, on this website, we used various monograms and reference books. Brown, D., New Encyclopedia of herbs and their uses. Dorking Kindersley Limited. Kircher, T., Herbs for the soul. Thorsons. Wildwood, C., The Encyclopedia of healing plants. Judy Piatjus Ltd.
Murray, M. T., The Healing power of herbs. Random House. Gursche, S and Rona, Z., Encyclopedia of natural Healing, Natrual Life Publishing, Inc.
Battaglia, S., The complete guide to aromatherapy, The Perfect Potion. Chmelik, S., Chinese herbal secrets. Gill and MacMillan Ltd.
D'Amelio, F., Botanicals, a phyot-cosmetic desk reference. CRC Press LLC. Balch, J. F, Balch, P. A., Prescription for nutritional healing, 2nd edition, Avery Publishing Group. Balch, P. A., Prescription for herbal healing, Avery Publishing Group. Readers Digest, The healing power of vitamins, minerals and herbs, Readers Digest Association of South Africa. Readers Digest, Guide to medical cures and treatments, Readers Digest Association of South Africa. van Wyk, B., Wink, M., Medicinal Plants of the World, Briza Publications. Holford, P., New optimum nutrition bible, Piatkus Books Ltd.
Castleman, M., The new healing herbs, Rodale Inc.
White, L. B., Foster, S., The herbal drug store, Rodale Inc.
Nadkarni, K. M., Indian Materia Medica, Volume I and II, Bombay Popular Prakashan. Null, G., The Clinician's Handbook of Natural Healing, Kensington Publishing Corp.